The long-running program in charge of drilling rock cores from the ocean floor has set a new goal that will thrill those of us who remember all of The Sixties. The Integrated Ocean Drilling Program (IODP) intends to carry out a task last tried in 1961: drilling the first hole through the Earth's crust, past the Mohorovicic Discontinuity at its base (the Moho) and into the rocks of the Earth's mantle. The U.S. did a lot of pioneering things in the early 1960s. For instance, we launched our first astronauts into space in 1961 and set foot on the Moon eight years later. That turned out a great success. Another was sending two men in a special submarine down to the deepest spot in the ocean, in 1960. That feat wasn't repeated until just last year. Another effort of the time was Project Mohole, an attempt to drill a hole through the Moho by picking an offshore spot where the crust is thin. In 1961, an experimental ship sent a drill string down through nearly 12,000 feet of seawater and into the seafloor near Guadalupe Island, west of Baja California. Several holes were drilled, the deepest more than 600 feet long. It penetrated completely through the ancient mud at the bottom of the sea and recovered a few feet of core from the crustal rock beneath, but that proof-of-concept exercise was as far as Project Mohole ever got. 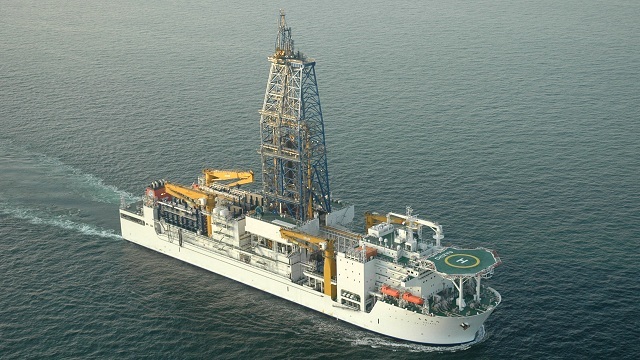 Since then, drillers of the offshore oil industry and the IODP (which started as the Deep Sea Drilling Project in the late 1960s) have advanced the art well past the bleeding-edge techniques used in Project Mohole. And the long-running research project is now thoroughly international. Although deep-sea drilling is still a challenge, the world scientific community now has decades of experience and is ready to try again. Let me outline the scientific problem. Earth consists of a big core of molten iron and the mantle, which is a thick blanket of rock that wraps around it.. Between them they amount to 99 percent of the planet and the Earth's crust—continents, ocean floors and everything else—is like a coat of tarnish on the top. The crust is an extract of the mantle: wherever plate tectonics releases enough pressure on the mantle it starts to melt. That fraction of melt, enriched in a few key elements (silicon, oxygen, aluminum, sodium and calcium), has evolved over the age of the Earth into the land we know with its thick, high-riding continents and low-riding seafloor. The oceans are where the crust is thinnest, as thin as a few kilometers, whereas drilling through the continents is hopeless because they're tens of kilometers thick. Here's a diagram showing the structure of the oceanic crust as we understand it. At the bottom of the ocean we first find mud, which changes to rock as we drill deeper. Below it is lava in various forms: layers of pillow-shaped bodies on top where the lava erupted into ice-cold seawater; farther down are the vertical cracks, which once were conduits filled with hot magma, but are now frozen basalt of the same composition as the pillows. 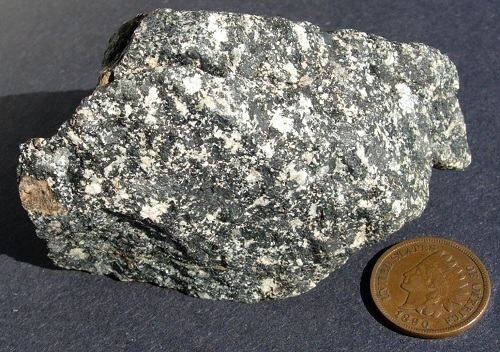 Deeper still is the original mantle melt, which cooled very slowly to form the coarse-grained rock gabbro. 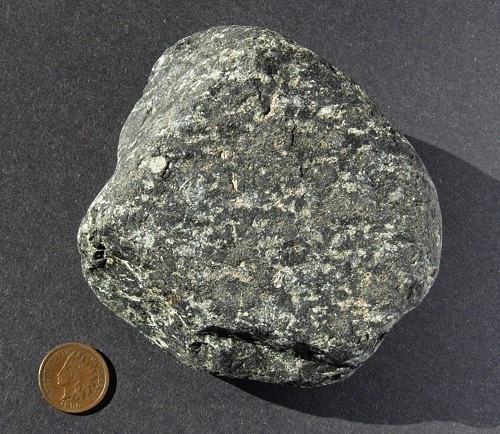 And below the Moho is the dark, heavy mantle rock that gave rise to the gabbro and basalt: peridotite. How certain is all this? Not as certain as we'd like. We've mapped the ocean's crust using seismic waves in a supersized version of sonar and see three layers with different physical properties above the Moho (which Andrija Mohorovicic first described in 1909, also using seismic evidence). We know directly, from drilling, that the top layer is sediment and that Layer 2 is basalt lava. Since Project Mohole, the deepest seafloor drilling has gone about a mile farther to reach the top of Layer 3, which as expected is gabbro. The rest of the picture we have deduced from rocks on land—large packages of marine rocks called ophiolites—which we interpret as chunks of oceanic crust that accidents of plate tectonics pushed onto the continents. Ophiolites have the same three layers in the same vertical order, with peridotite at the bottom representing ancient mantle rocks. We have reinforcing evidence from broken bits of mantle rock, called xenoliths, that are sometimes carried to the surface in lava. However, ophiolites and xenoliths are altered from their tectonic manhandling, and they aren't guaranteed to be typical of the mantle, either. The problem is that our picture is based on indirect and imperfect evidence: seismic waves and geologic analogy. To assess that evidence, we could really use a few pristine samples of the mantle. This is the same problem we had with the moon in 1961. We could do all sorts of observations from Earth and make some tentative conclusions about the moon's history and origin. We could even guess that some of the meteorites in our collections were from the moon. But until humans and robots succeeded in collecting rocks on the moon, as American and Soviet missions did between 1969 and 1976, lunar science was badly handicapped. And so today is our understanding of the deep Earth. And without a good understanding of the mantle, we can't really understand the crust. With the Japanese research vessel Chikyu, we finally have an instrument capable of reaching the mantle. The location is still to be chosen, but the prime candidate is the original Mohole site off Guadalupe Island. In the last few years, Chikyu has carried out groundbreaking work and is ready for the task ahead. Along the way, drillers hope to set another mark by drilling beyond the depth of all life. Even our deepest samples from below the seafloor, even in solid rock, contain living microorganisms—just a few, but not none. The extent of life on Earth is still just as open a question as the nature of the mantle. These and other goals are laid out in the science plan for 2013–2023, a period in which the IODP will take on a new name: the International Ocean Discovery Program.